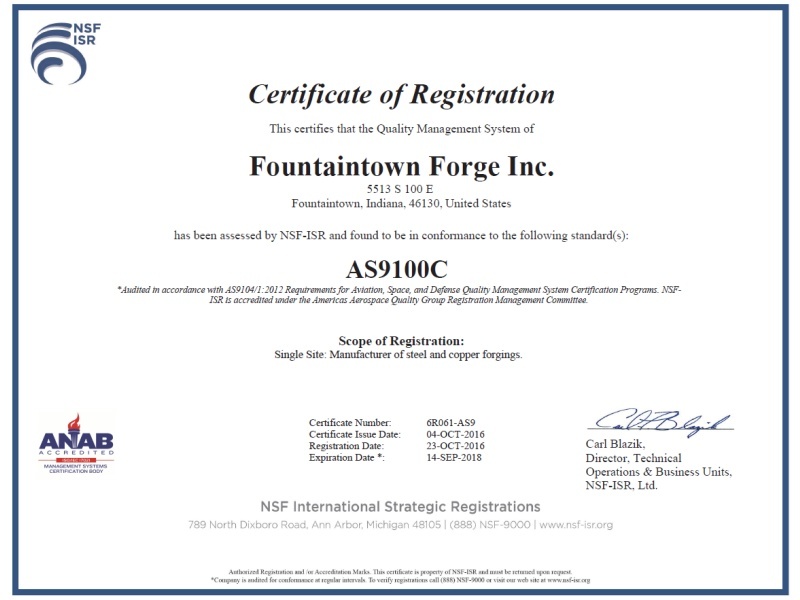 Fountaintown Forge, Inc. (FFI) continues to upgrade their material selection grades to have the flexibility of serving customer for their forging requirements in the commercial and industrial divisions. FFI forges contour production products to meet the needs for non-aircraft customers that also require grain flow, steel toughness, fatigue strength and ductility requirements. 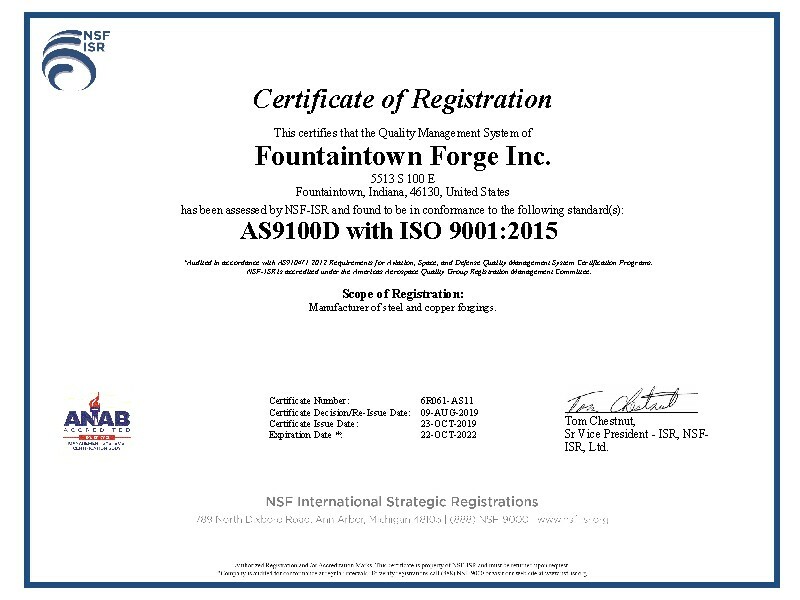 This also includes: heat treating, cleaning, rough machining, metallurgical testing, ultrasonic inspection, magnetic and penetrate inspection and traceable certification requirements. Below is a list of materials we forge; carbon, stainless and various alloy steels, as well as numerous copper alloys. Additionally, you can find more materials we forge on our aerospace forgings page. If you don’t find what you are looking for, please feel free to contact us.